This Bitcoin Billionaire Has Lost His Faith in Bitcoin. Regular readers know my view of bitcoin. I’ve said all along that it has no utility other than as a token for criminal transactions. Bitcoin is slow, expensive, non-scalable and non-sustainable. It is not suitable as money because the money supply it represents is inelastic once the last bitcoin is mined (and we’re already getting close to that point). I also called the bitcoin bubble. Last December when the price was $8,000 and rising rapidly, I said in a television interview, “bitcoin could go to $20,000” but would then fall back to earth. That’s exactly what happened in the weeks following. Since hitting $20,000, bitcoin has fallen over 60% and now trades around $7,500, although the price trend is still down. Having said that, I never doubted that certain individuals personally made lots of money in bitcoin. If you bought 1,000 bitcoins at $100 each and sold at the top, you made almost $20 million. The problem is that you didn’t make that money with hard work, ingenuity, invention or some value-added product. You made it from the suckers who came in behind you and paid bubble prices until the bubble burst. That’s not a great model for any economy and it has led to immense hardship for those who took home mortgages or hocked their store inventory to invest at prices of $10,000 or higher. Just to rub salt in the wound, one of the genuine bitcoin billionaires now says that, “Bitcoin may have trouble evolving and keeping up,” and that other cryptocurrencies such as Ether are “too untested” for general use. As this article explains, this particular bitcoin billionaire was the head of the Japanese-based Mt. Gox cryptocurrency exchange that went bankrupt in 2014 and lost over 850,000 customer bitcoins (worth about $6.8 billion at today’s prices). 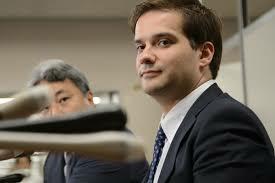 He served time in jail, has now been released, but due to quirks in Japanese bankruptcy law, he still has control of bitcoin valued at over $1 billion. This particular bitcoin billionaire no longer believes in bitcoin. It might have been nice for the unfortunate bitcoin losers if he had said that four years ago.